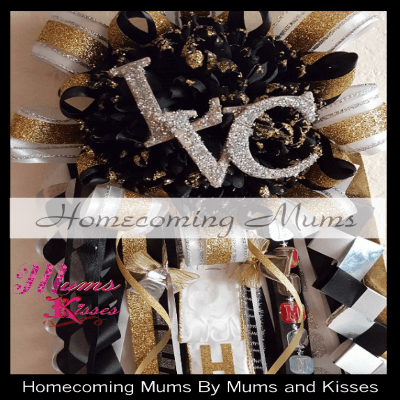 Silk Football Mums, also known as Homecoming Mums or Homecoming Corsages (in states like Texas) are a little different now a days. First, they’re no longer fresh flowers, they’re made of silk. And they are quite a bit bigger than the homecoming corsages of yesteryear. At Mums and Kisses we offer a wide assortment of Silk Football Mums in may different size from pee wee mums to College. (even parent mums too) We hope you like what you see and if you have any questions, let us know! Want to see more? We have a LOT more! 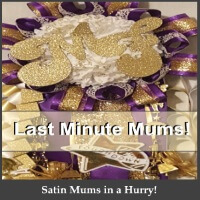 Use the menus to shop all and see the custom silk football mums we offer. We ship, or you can come pick it up! We offer free shipping on orders over our advertised price and we can do any school! How cool is that. We can make your silk football mum cheaper than you can buy the supplies in most cases too. It’s a win win! 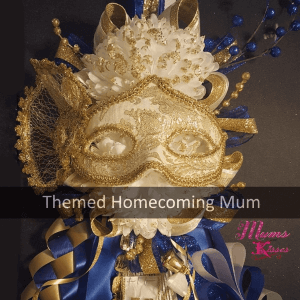 We’ve made mums for the Dallas cowboys, a celebrity actress and over 204 Texas schools! Leave it to the pros! 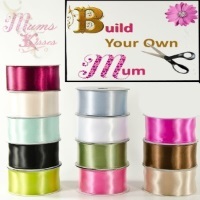 Mums and Kisses is your professional mum maker!